We are not a pet family. We are an allergic-to-everything family. 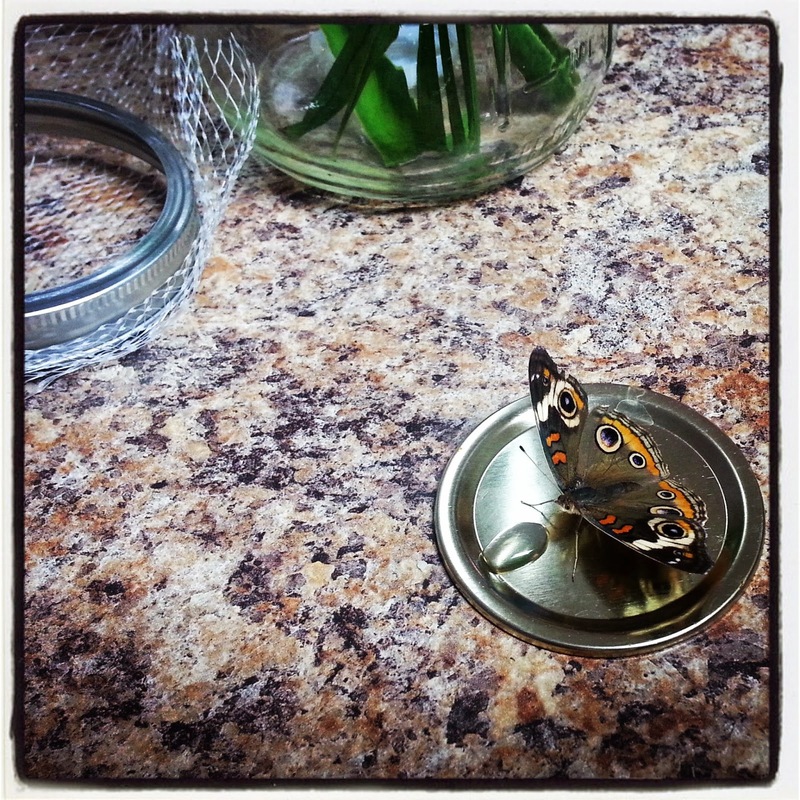 My daughter found an injured butterfly. It's wing was damaged and was unable to fly. It fluttered a bit, but that was it. My girl loved that it would sit on her finger. I told her she could keep it...whose allergic to a butterfly, right? 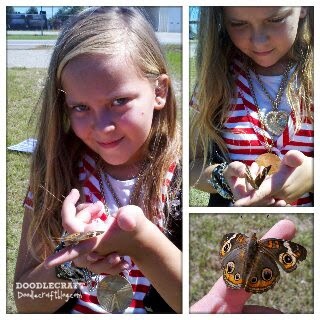 We fed the Buckeye butterfly, named Luna, a mixture of sugar water and a drop of soy sauce. Mostly, she lived in a 1/2 gallon mason jar with a net lid...and lots of leaves. And she got some outside time every day. Much to my surprise, she lived for 3 entire weeks! And put them carefully in a lamination sleeve...business card size. Added a label and laminated it! I think that was a good first pet.